Discussion in 'War Cemeteries & War Memorial Research' started by CL1, Jan 31, 2017. 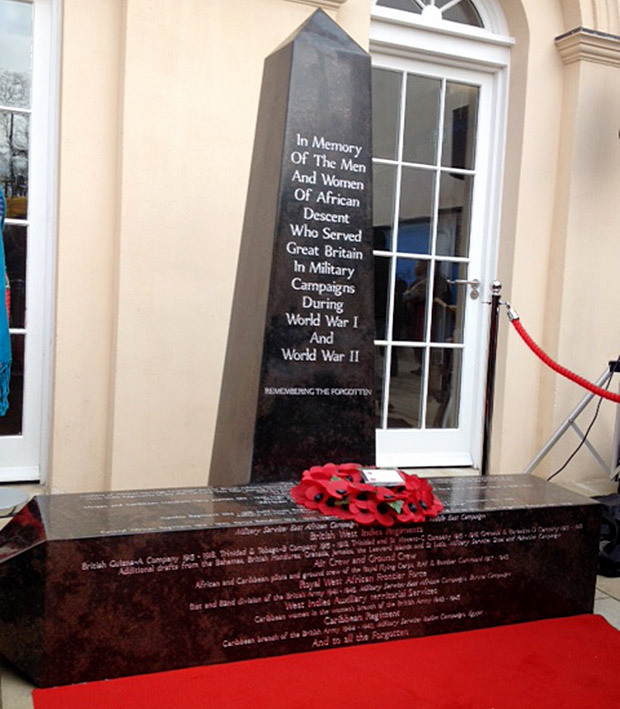 The attached is a photo from the Black Cultural Archive in Brixton where the memorial was unveiled in 2015.The memorial has since be removed to be set up on a plinth. The memorial will be unveiled and dedicated in Windrush Square, Brixton on 22nd June 2017 against the wall with the Bovril advert. .The Windrush Square sign will be moved to allow the memorial to be set up. BereniceUK and Tricky Dicky like this.